The Nürburgring: 14 miles of winding, narrow country roads that were once the most terrifying motor racing track in history. The track was deemed too dangerous for competitive racing, but you can still experience the track at racing speeds in your own car. The Nürburgring (sometimes spelled Nuerburgring, particularly if you don't have the 'ü' on your computer) is most famous for being the track where Austrian racing legend Niki Lauda was involved in a fiery crash that nearly took his life during the 1976 German Grand Prix (the scene was dramatized in the 2013 movie Rush). Jackie Stewart called the Nürburgring "The Green Hell," a phrase the track uses for its Green Hell Driving Days. The only difference between this and the normal tourist rides is the opening times. The normal tourist rides are only for a few hours (usually in the evening), and the twice-yearly, three-day Green Hell Driving Days allow you to drive all day for the duration of the event. If you'd rather have someone else drive you, there are two co-pilot rides you can take instead. You can learn to handle what life throws in front of your squealing tires at the Nürburgring Driving Safety Center. A one-day intensive driving course will cost a mere 130-170 Euros depending on the day and the season. The teachers will give you tips on how to handle a car well, whether you're on the race track or the autobahn. You don't need a car to enjoy the Nürburgring. There are hiking trails all around the track. Check out the website for more details (currently only in German, though the maps are self-explanatory). The Nürburgring is located 90 km southwest of Cologne or 60 km northwest of Koblenz. The nearest airports are Köln Bonn (80 km) and Duesseldorf (120 km). Be sure to follow the directions to Nürburg rather than Nürnberg. Take Juan Manual Fangio, for example. Loosing the lead after a horrendous pit stop near the end of the 1957 German Grand Prix, he managed to break the lap record by 12 seconds on three consecutive laps to take over the lead and win the race. He quit racing a year later, as if he had reached the pinnacle and there was nowhere else to go, "I believe that on that day in 1957 I finally managed to master the Nürburgring, making those leaps in the dark on those curves where I had never before had the courage to push things so far." 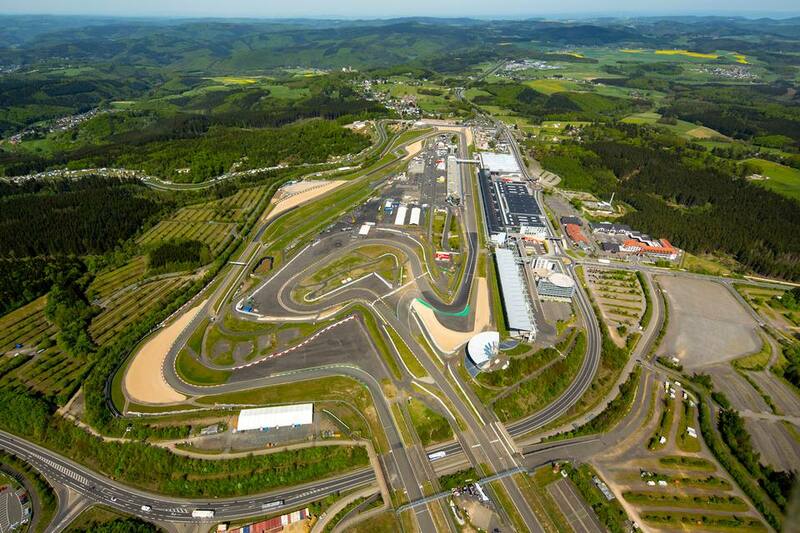 There is likely to never be another race track like the Nürburgring again.